This lesson combines 2 MBS Floor Plan files with different coordinate systems into one file using external references and room transformations. 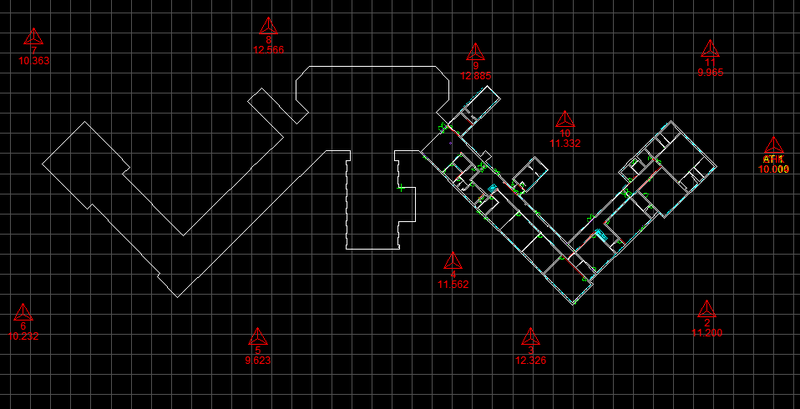 School-Main-2.mbs: Contains survey stations, building footprint and middle building rooms. In other words the school building footprint has been surveyed from control stations using a total station and the school entrance rooms and hall have been surveyed into the same file using a Disto. 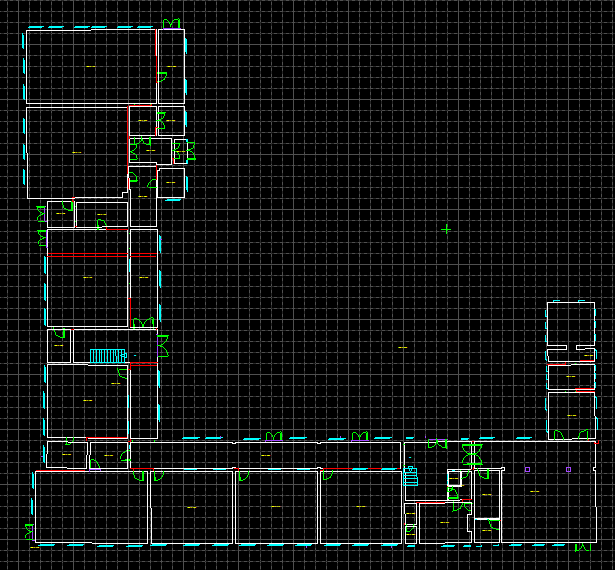 School-West-wing-2.mbs: Contains the rooms of the west wing only, not referenced to the main survey. In other words a brand new file with arbitrary coordinates was started and the west wing school rooms and symbols, have been recorded and surveyed using a Disto. Open the file with the correct coordinate system, in this case; School-Main-2.mbs and save it. Insert School-west-wing-2.mbs as an External Reference. The first moves the 2 datasets closer together so we can get a better view and fit of them using Room Transformation – By Arbitrary Amount. The second stage transforms the rooms To a Measured Point in School-Main-2.mbs with an offset. The third stage Rotates the imported rooms to match up with a wall in School-Main-2.mbs.